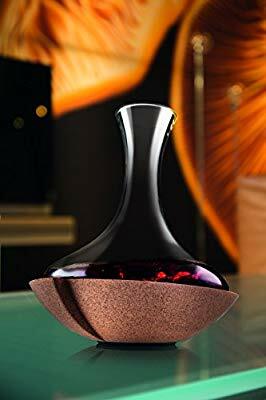 Ideas for presents to buy for other wine lovers, or that you wish others might buy for you (you can always point your loved-ones to this topic for sourcing ideas). Is there a wine, spirits or related gift you love the idea of? Then share it! Bamboozled Games produces beautiful wine and spirit maps in jigsaw form. The perfect present for fans of the grape or the grain. This unique jigsaw is the perfect way for wine lovers to explore Bordeaux’s appellations, châteaux and landmarks. I told the other half to stick with vouchers for my favourite local wine shops. This way I can shop to my heart’s content. The other hint I dropped is about booking a tasting tour in Rathfinny Wine Estate in Alfriston. Last year I missed the boat and it was all sold out. When I say ‘hint’, by the way, I mean spelling it out in capital letters in an email. Subtlety doesn’t work here! I’m feeling very Christmassy and have been for a couple of weeks now! Last year I got my membership to TWS from my parents so it’ll be a job to top that as a gift that keeps on giving! Like the idea of that carafe. @leah! Our decanter was a gift from a family member, and every time we use it we think of him, so I’m sure your friend will do the same. 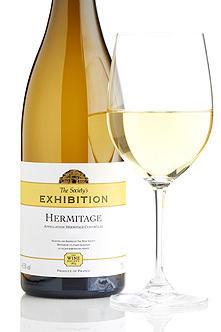 Outstanding full-bodied dry white from the great Hermitage hill and a great vintage. Marsanne and roussanne are used to create a very rich, oily and multi-faceted white that is lovely now but will gain further in complexity with age. Beguiling flavours of lemon, hazelnut and honey. Kermit Lynch’s Adventure on the wine route. The World Atlas of Wine. The Sommelier’s Atlas of Taste. I know this is a thread for wine lovers gifts … HOWEVER … knowing that this community is probably at LEAST 90% male, I thought I would use it to my advantage and request your collective male knowledge to find a “loud” shirt for Mr. Leah. He likes to be a bit “loud” for nights out as he doesn’t wear shirts for work . (He wears his batman crocs and shorts generally )… and I am having huge problems trying to find him a nice colourful shirt as a Christmas add on ! I’ve tried a few boutiques , John Lewis, Fenwicks in Newcastle , house of Fraser etc… but I just can’t find anything “nice” …! So if anyone knows of an online store or somewhere where I purchase him something a bit different I would love to know . Suppliers of beautiful, limited-edition shirts, fine tailoring and fabulous accessories. Thank you !! We all know that you invented loud shirts @robert_mcintosh ! Much appreciated @japcraw too . Your problem Leah is not getting the shirts but getting the fit almost everything in those styles is slim fit and that of course includes the shoulders, even more staid designs ! for myself I can’t get as they assume everyone who buys that sort of merchandice is 18 and built like a whippet, and I am neither. I bought one for my dad as well as part of his Christmas present…and have been using mine together with a wine thermometer my mother in law gave me for Christmas a few years ago.